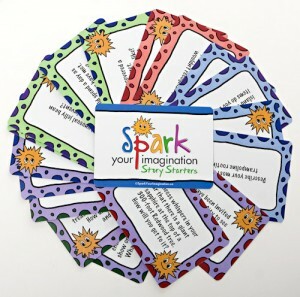 January 24 (KAMLOOPS) – Spark Your Imagination Ventures Inc. is excited to announce that its mom-made in Canada Spark Story Starters have been awarded the Parent Tested Parent Approved Winner’s Seal of Approval. PTPA Media has North America’s largest volunteer parent testing community, with over 40,000 parents. Spark Your Imagination™ was among many entries from across North America competing to earn the PTPA™ Seal. Because independent parent volunteers evaluate these products in their own homes, PTPA winners are chosen based on merit and consumer experience – not on commercial considerations. Spark Story Starters were born at our family dinner table as a way to engage our kids, so there could be no better accolades for what we have created than one from families and kids. Thank you for this honour!